The Travel Agents industry plays a huge role in making Maldives a favourite destination for visitors and facilitating travel arrangements for travellers. 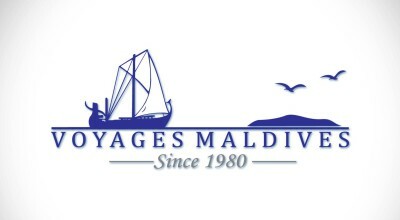 There is a wide range of travel agencies in the Maldives and across the world, offering unique travel experiences for locals and visitors alike. There are many great Maldivian vacations to choose from and most Travel Agent’s have been in operation for long enough to have the insider knowledge to finding all sorts of deals to help you plan and book every detail of your Maldives adventure. So, if you are wondering what it’s like to fly over the exotic thousands of islands, feel the warm island’s breeze, or dive in the lagoons of the Indian Ocean, choose among our list of Travel Agents and you’ll soon be enjoying your very own experience in our islands of wonder. It is an assumption that most travel deals are found online. However, it is advisable to note that Travel Agents have insider knowledge to recommend relevant offerings ranging from flights to hotels, dinner and to leisure activity options also provide cost saving strategies. One of the best advantages of booking with a Travel Agent is help you with moving a date, changing the location of a room/cabin, multiple resorts stay option, etc.. all to give you, your own customised vacation. Not to mention, they also show their appreciation for your business by enhancing the trip with extra amenities. It is not a surprise that booking with a Travel Agent proves to be the best way to get access to hidden promotions, early bird offers and secret deals. So get ready to start planning your next vacation and browse through our recommended Travel Agents.